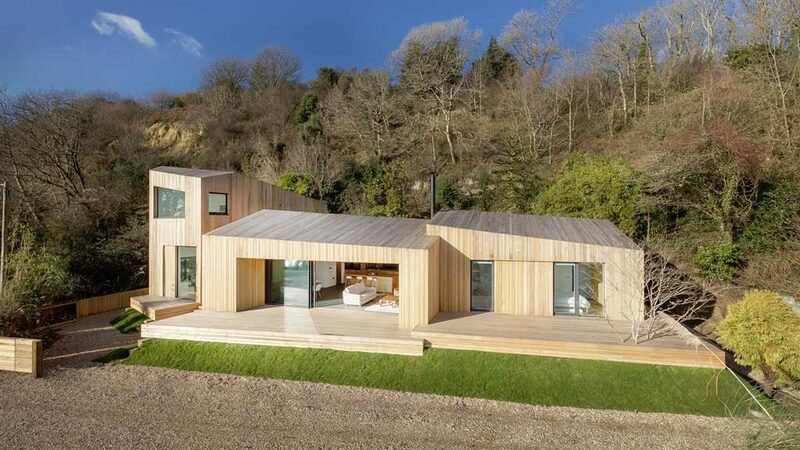 WHEN Andrew Vaughan’s charming bungalow was ripped in half by a massive landslip, he did something extraordinary. 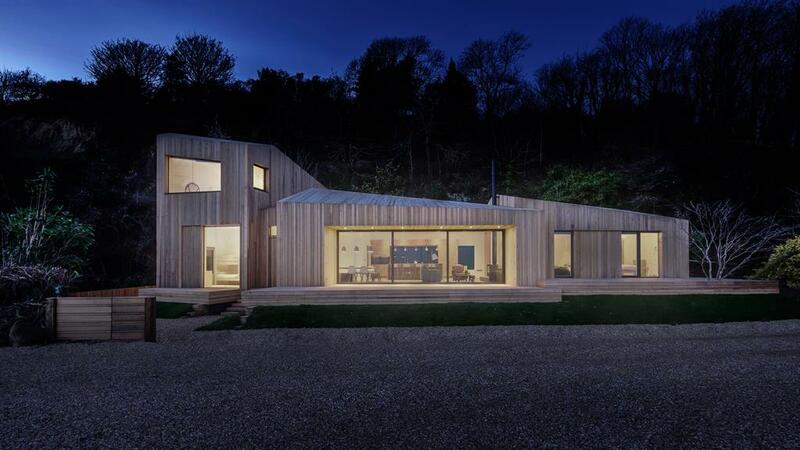 Even though his ruined home — perched on the cliffs of Ware, near Lyme Regis, on the Jurassic Coast of Dorset — was in an active slipzone, he and his partner Katherine decided to build another one. On the same spot. Their cunning plan involved structural designer Eckersley O’Callaghan and architects AR Design Studio — who decided that it was useless to resist the indomitable forces of nature. Massive foundations were out of the question as they would have further disturbed the already unstable ground. The solution was a stroke of pure genius. They decided to build two separate foundations — yes, you read that right — on top of each other. The idea is similar to stacking two buttered pancakes on top of one another. When the ground moves, a local contractor — who doesn’t even need specialist engineering knowledge — comes along and re-levels the house to match the shifted ground, using special ‘jacking points’. The house itself ain’t too shabby either, as the spectacular main photo above attests. The unique solution for the foundations is further helped by the ability of the house’s four, cabin-style pods to split, twist and rotate — independently of one another. The landslide-resistant home, named Crow’s Nest, is clad in haphazard rough-sawn larch — which makes a bold statement against the woodland backdrop. 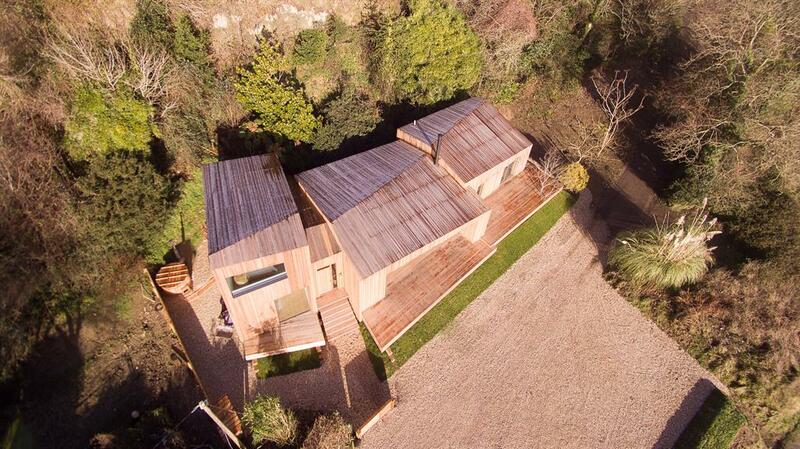 The timber is designed to weather with time, allowing it to further settle into the landscape. Jonathan Oswald, architectural designer at AR Design Studio, explains further. 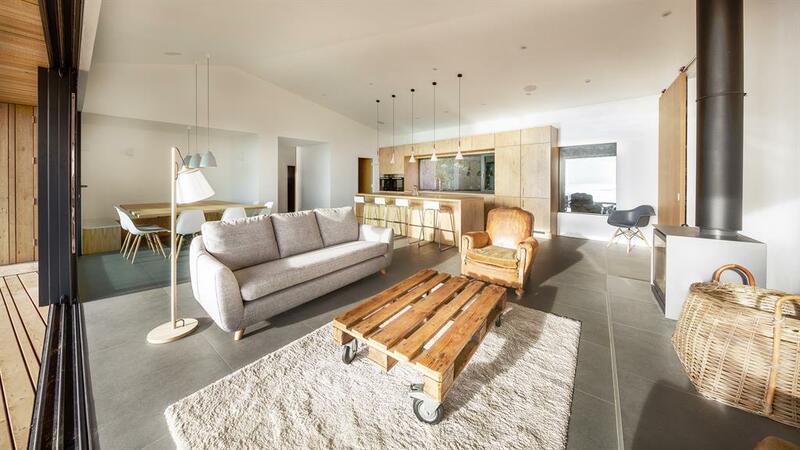 The finished house has elements of a traditional Scandinavian wood cabin with an English twist. The organic, naturally sympathetic design fits majestically within its surroundings — which happen to be listed as an Area of Outstanding Natural Beauty, a Unesco World Heritage Site and a Site of Special Scientific Interest. 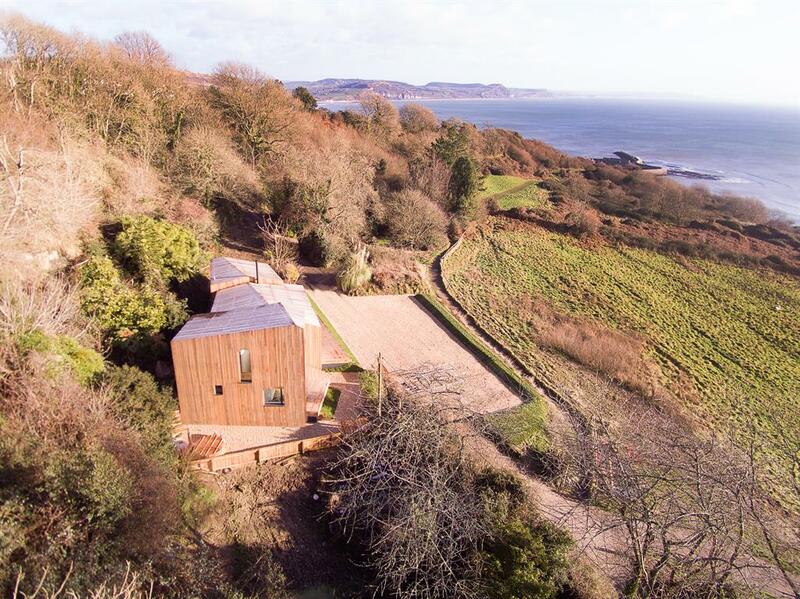 The house really sits on its own, being one of only a few houses in a seven-mile coastline between Lyme Regis and Seaton. 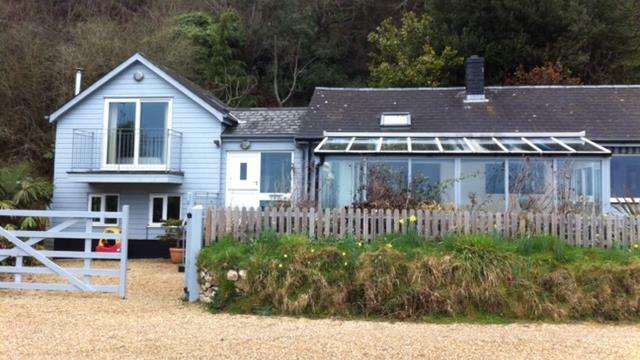 ‘It’s probably a real cliché, but the sea view changes every day,’ its proud owner and landslip-conqueror Andrew says. 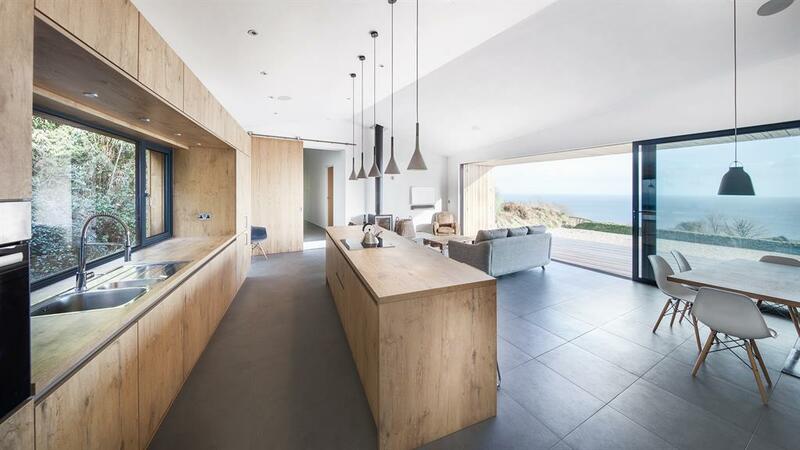 Sitting inside the amazing property, sheltered from ground, air and sea attacks, the views are breathtaking.The massive glass panels perfectly frame the landscape in its entirety. 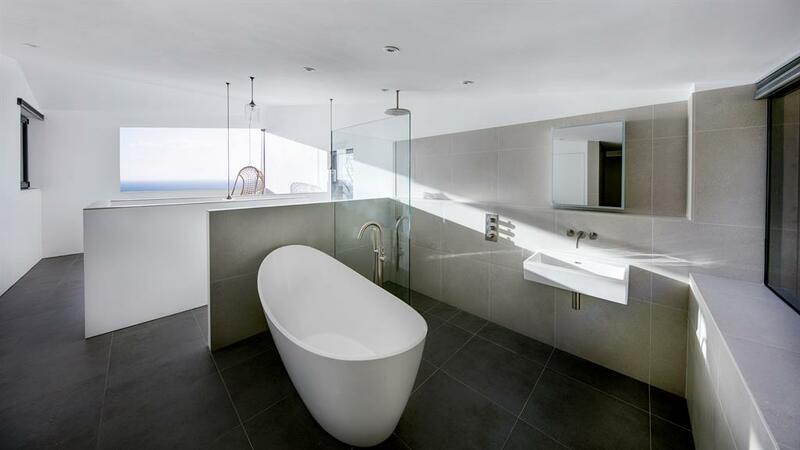 ■ The brilliant design of Crow’s Nest has not gone unnoticed in the architectural world. It’s been shortlisted for the Structures in Extreme Conditions prize in this year’s Institution of Structural Engineers’ Structural Awards. Winners will be announced on November 17 at The Brewery, in London (istructe.org). Fingers crossed!